It’s something of a bittersweet ending to say goodbye to the original X-Men film chronology. Although the timeline has become almost impossibly confusing over the years, and crossed over on several occasions, altering past and future, there’s still novelty in the realization that the release of X-Men: Dark Phoenix represents the 12th and final installment in a series that has been going in some form ever since 2000’s original X-Men helped kick off the viability of the modern superhero genre in the first place. It was Hugh Jackman’s Wolverine who largely provided the glue to tie everything together, but seeing as he’s said his farewell to the character, perhaps this is indeed the right time to wave goodbye to X-Men under the Fox banner. 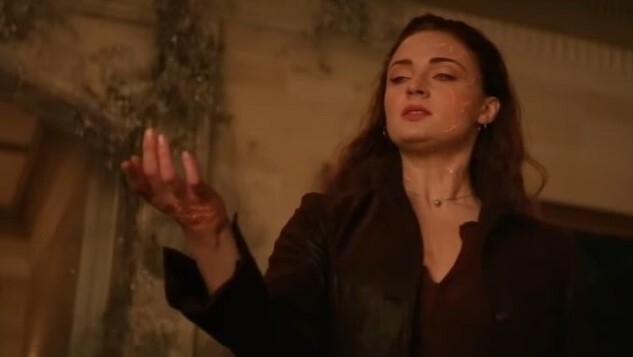 The second trailer for the troubled Dark Phoenix hit the web today, hyping the film’s June 7, 2019 release to what felt something like a collective shrug from the internet. After the disappointment of X-Men: Apocalypse and the knowledge that the Fox merger with Disney will likely mean the entire series gets rebooted (possibly as part of the Marvel Cinematic Universe) in the near future, it simply feels like viewers don’t want to invest much into the old X-Men chronology at this point. That hasn’t done any favors to Dark Phoenix, which saw its release pushed back for reshoots after poor test screenings. The fact that the film adapts the same comics story as Brett Ratner’s terrible X-Men: The Last Stand from 2006 (back when Famke Janssen was Jean Grey) has been just one more obstacle to overcome. The Dark Phoenix Saga may be an X-Men classic on the page, but audiences don’t seem quite as taken with the thought of the team battling an out-of-control Jean Grey. The trailer below, meanwhile, goes deeper than the first into showing Jean on her rampage, seemingly having a breakdown after attacking (and maybe even killing) some of her friends. We also see Jessica Chastain’s “alien shapeshifter” character acting as the devil on Jean’s shoulder, driving her on to dark deeds. Chastain was reportedly something of a mentor on set to Jean Grey actress Sophie Turner (still best known as Sansa Stark on Game of Thrones), who is getting by far her biggest starring role here. Could Dark Phoenix make the 23-year-old Turner an A-list actor, even if it underperforms? X-Men: Dark Phoenix will close out Fox’s X-Men saga on June 7, 2019.